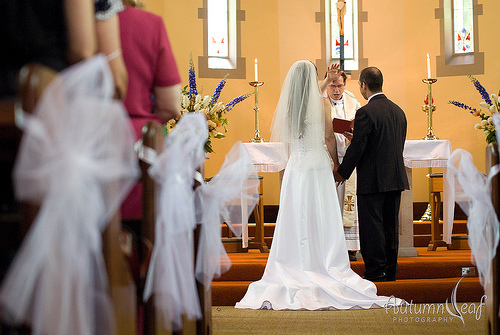 A beautiful spring wedding: Yvette and Shane said “I do”! 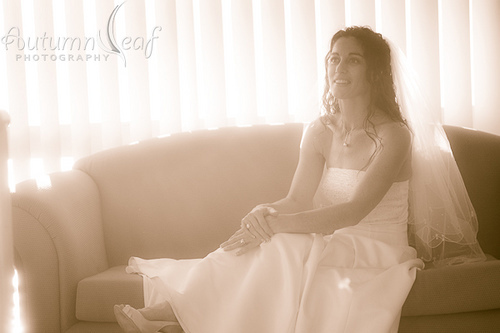 Yvette and Shane exchanged vows in late spring on a November morning. 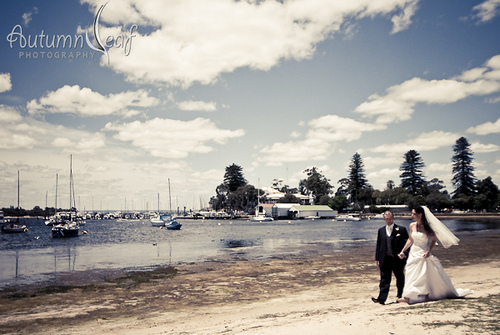 The day was as gorgeous as they were; a perfect day for a perfect couple. The weather was just perfect for the wedding eventhough it was forecast with some light shower. The rain never came, but what we had was some beautiful clouds on a bright and sunny day. 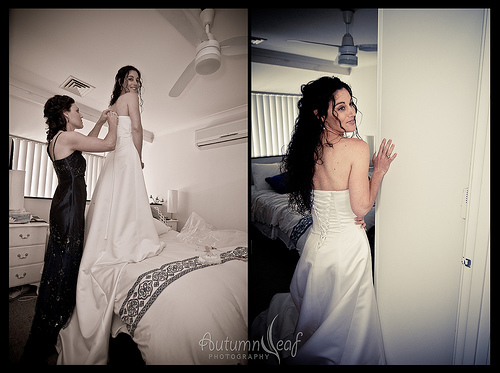 Charlene and I arrived at Yvette’s bright and early to start the day with the bride and her sister, who was also the maid-of-honour. 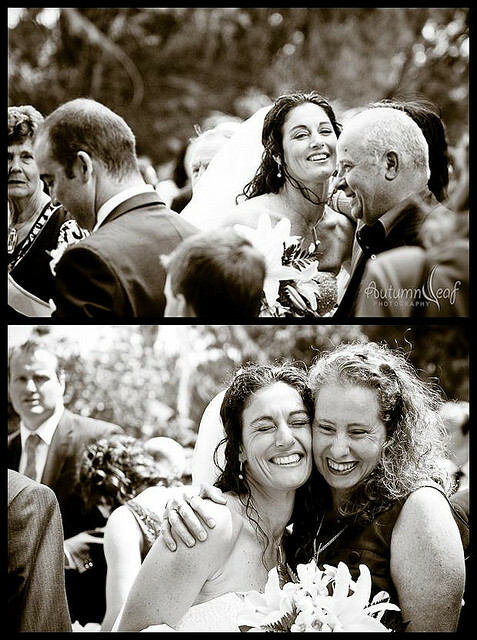 Yvette was all too excited as the bride. 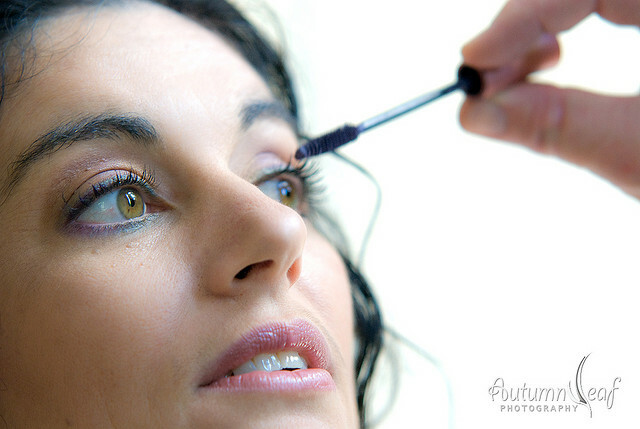 Some wonderful makeup work and the beautiful dress transformed Yvette into a truly stunningly beautiful bride! 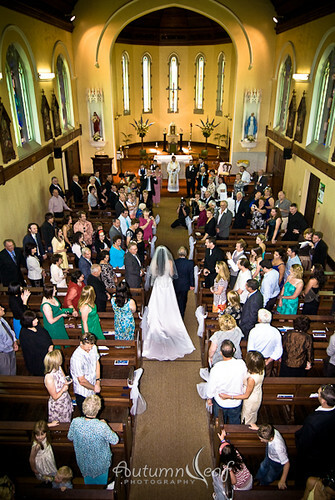 The ceremony was held in the beautiful St Mary’s Star of the Sea Church at Cottesloe. It was a magnificant Catholic church built with old limestone, lit on the inside solely by sunlight, diffused through its stained glass windows. 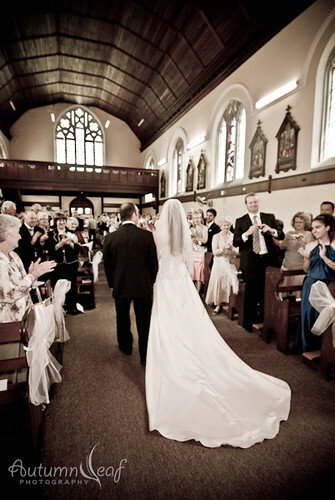 Shane looked remarkably collected as his bride pulled up, and entered the church on her father’s arm. 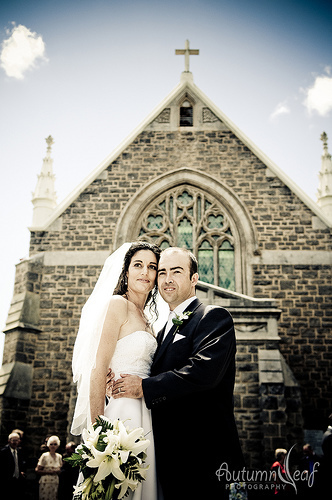 After a few shots at the church and the many congratulations, hugs and kisses to the newly wed, we headed down to the Mosman Bay for a quick location shoot. 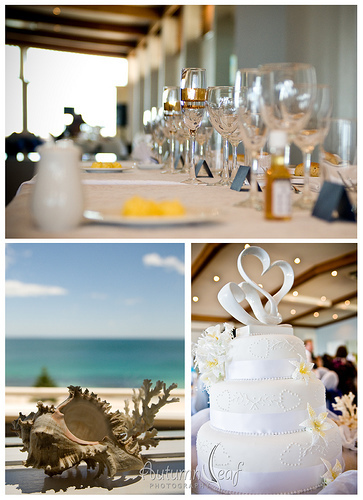 Their reception was held in the function room in the Ocean Beach Hotel in Cottesloe. 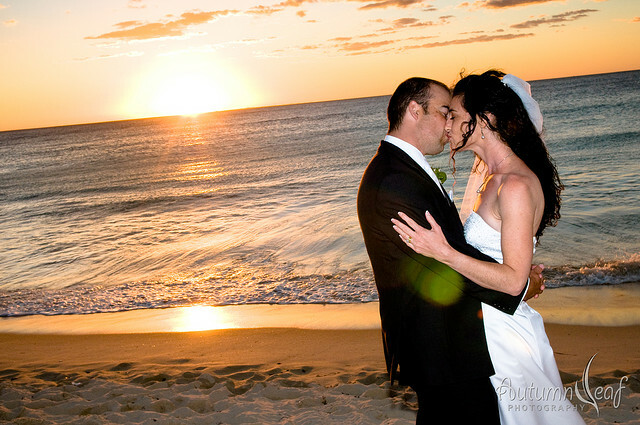 The venue was decorated with little items of Yvette and Shane’s – starfish, shells – symbolising their mutual love, and that of the sea. The front-facing wall was a series of glass panels that overlooked every shade of blue in the ocean and sky. After a few fun moments at the Ocean Beach hotel, we proceeded to the City Beach for some beach sunset shoot, where Yvette kicked her shoes off in relief, and went splashing in the swash with abandon…. 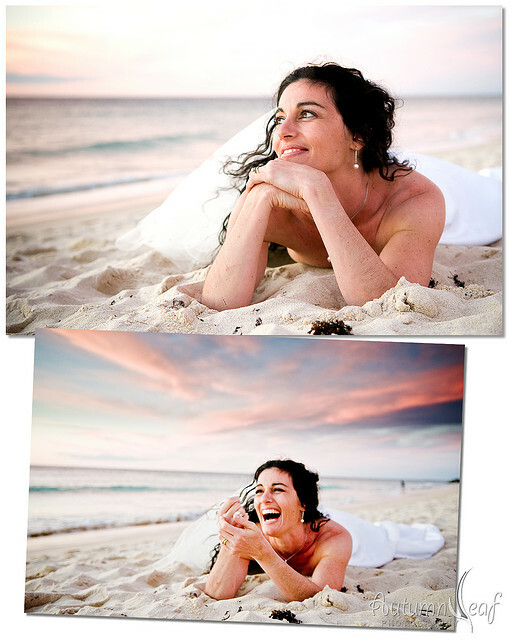 not quite a trash the dress session Charlene and I had hope for, but nevertheless, just as fun! 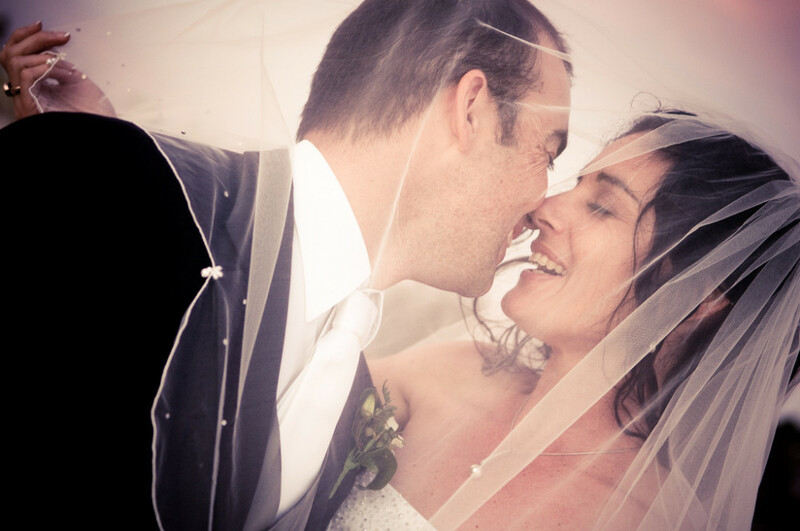 Yvette and Shane, thanks for letting us share in your special day. 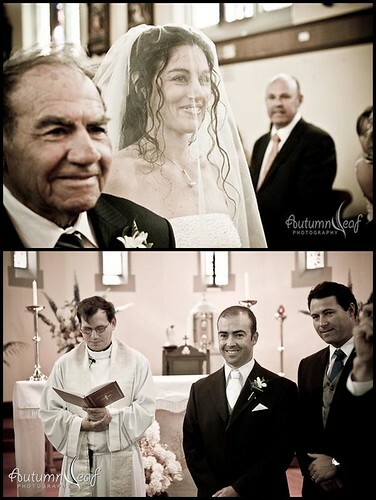 It was our greatest pleasure to be your wedding photographer!